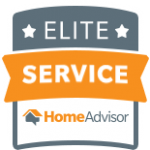 Florida Solar Design Group has earned the Best of HomeAdvisor award for 2017. This shows our commitment to satisfied customers and a solid track record with the nation’s premier contractor referral service. If you haven’t heard of HomeAdvisor, you probably don’t watch television or listen to the radio. They promote their service heavily to consumers looking for construction services of all types, including state certified solar contractors. We offer solar pool heating and solar electricity services through HomeAdvisor. HomeAdvisor screens contractors before referring consumers. You must go through a vetting process that includes providing licensing and insurance information to the company. But they don’t stop there. The qualifying contractor also needs to go through background checks. The screening process is detailed and purposeful. This ensures that only reputable contractors receive sales leads through the service. In addition to the Best of HomeAdvisor award, we have also earned some other honors given our by the company. This allows us to display these badges below. We would like to thank our devoted customers for providing us with the reviews necessary to earn this honor. We truly rely on work of mouth recommendations, and online reviews are a huge part of that.